International Paintball Group is the world’s largest paintball agency. 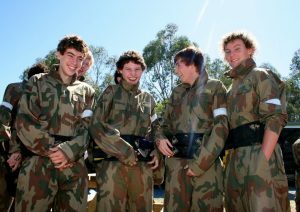 They have over 115 paintball centres in 6 countries around the world. This company provides thousands of people with amazing deals to play paintball every year. IPG are responsible for bringing thousands of new players onto paintball fields around the world. IPG introduces the public to an exhilarating sport that is fun and addictive. 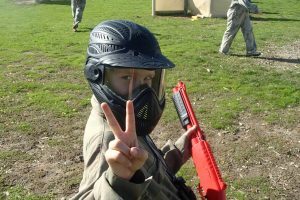 Paintball is a niche sport, and can offer a day filled with strategy, action and fun. IPG offers great value to people who are looking to experience a great day filled with action and excitement. The general public can find paintball intimidating, due to its lack of popularity and other preexisting stereotypes around the sport. IPG and its affiliated partners are working to dispel these stereotypes through providing a safe and enjoyable day for everyone. IPG’s sole purpose is to introduce as many people as possible to the game. IPG only sells tickets to the best paintball fields in the country, and does not compromise on quality. Their fields include movie-set quality game zones, props, and have several game scenarios that will keep your group entertained for hours. Trained staff man the fields and ensure everyone is safe at all times. Their customer service is second to none, and work to guarantee that everyone leaves with a smile. The International Paintball Group is bringing the sport of paintball to the public, allowing them to enter a world that is known and loved by a select few.